After months of waiting, I finally have some sunflowers bloom since I sowed them in April. This is the only flower that looks completely open, not mature, but open. I am happy and yet sad to see that despite my attempts to ward off the bugs, they keep feasting on my flowers. 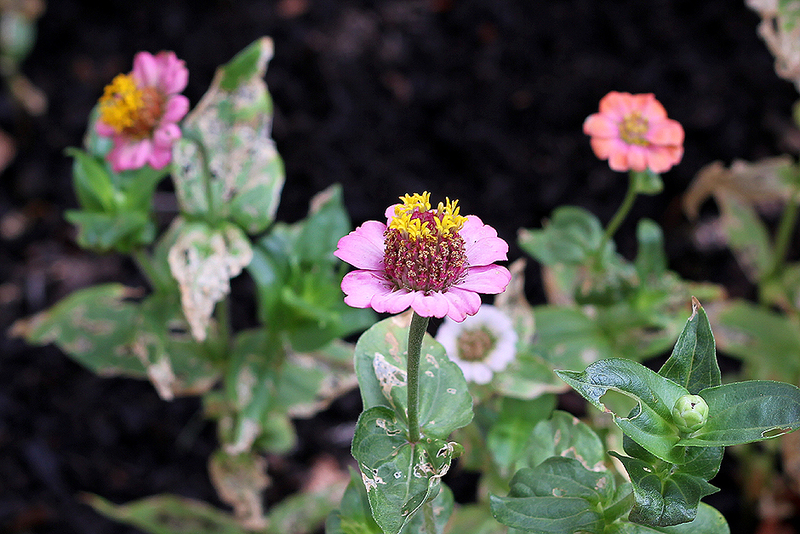 My Zinnias were total casualties from the pests. They have been flowering for over a week now but they look totally hideous and sickly with all of the leaf bites. This was my first at growing sunflowers and I am at least happy that it wasn’t a total bust though I am still waiting on the second batch to develop some buds, more waiting. Who likes to wait? Next time, I will have to plant them where there is constant direct sunlight so they don’t get stunted and maybe consider using commercial pesticides to better protect them. I am currently using soapy water. The variety I planted was projected to be really tall but I actually like the fact they are short.